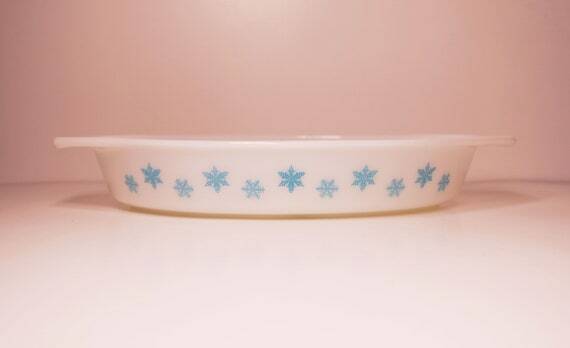 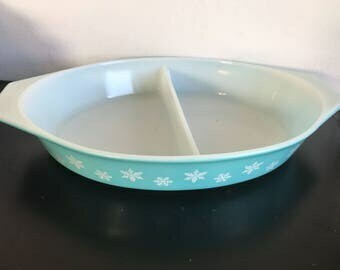 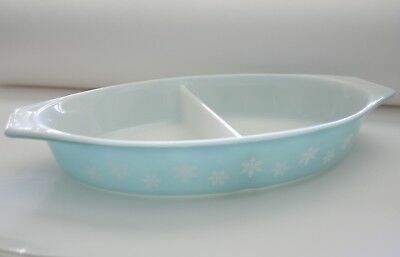 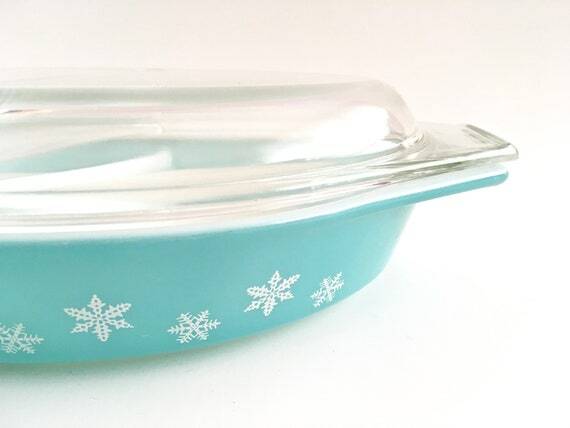 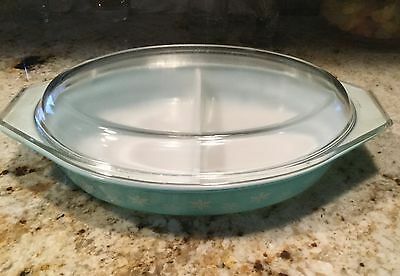 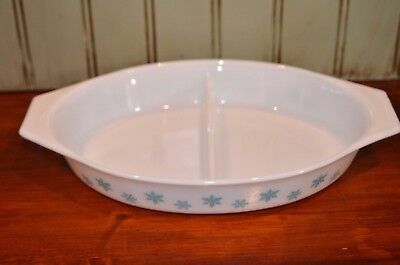 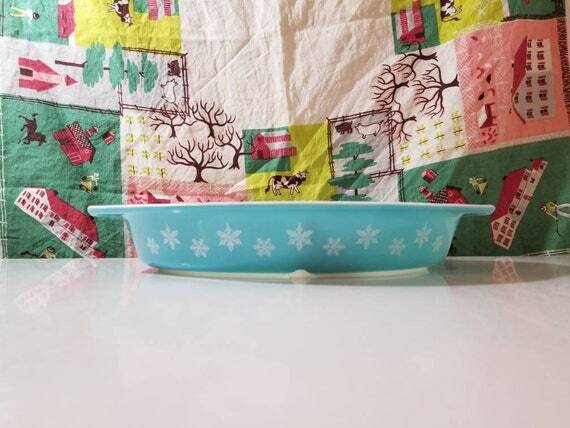 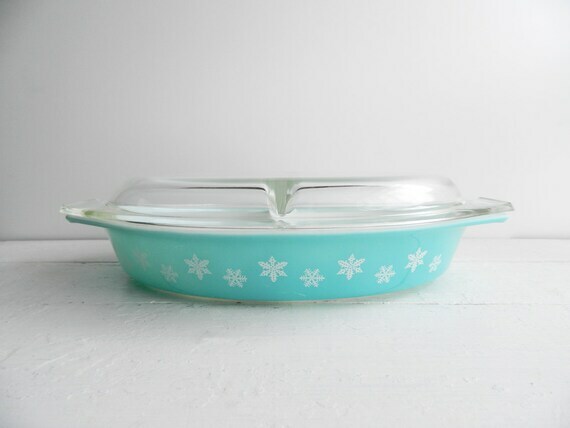 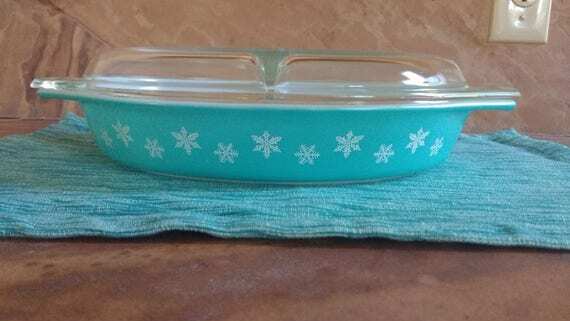 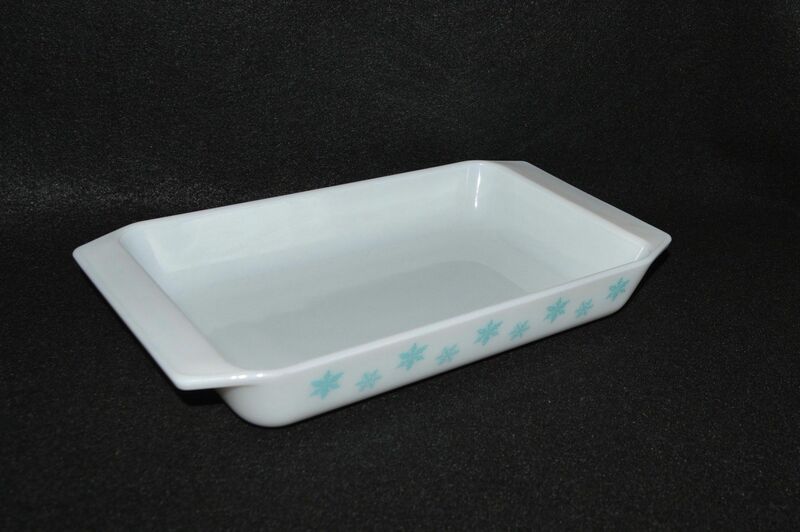 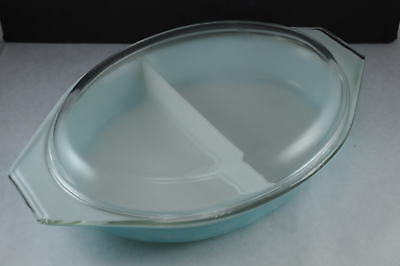 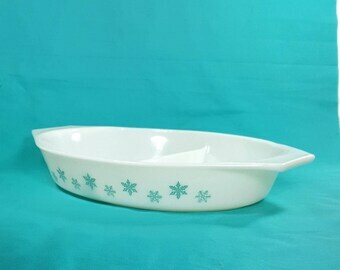 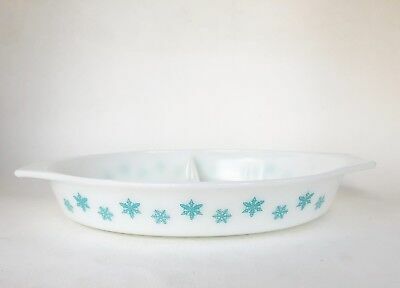 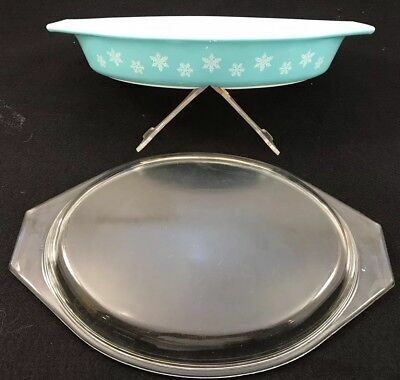 Pyrex Divided Casserole, Turquoise Snowflake on White, Glass dish, 1950s, 1960s, 063, 945, 963, serving dish, baking dish, pretty dish. 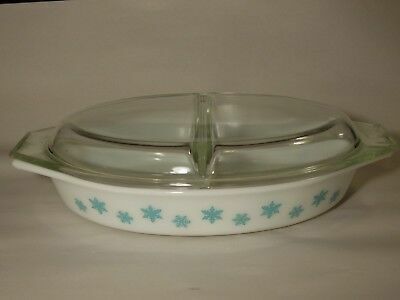 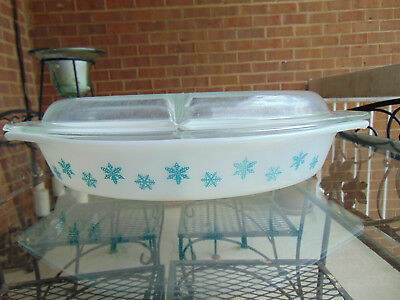 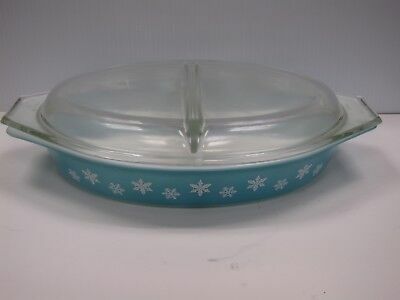 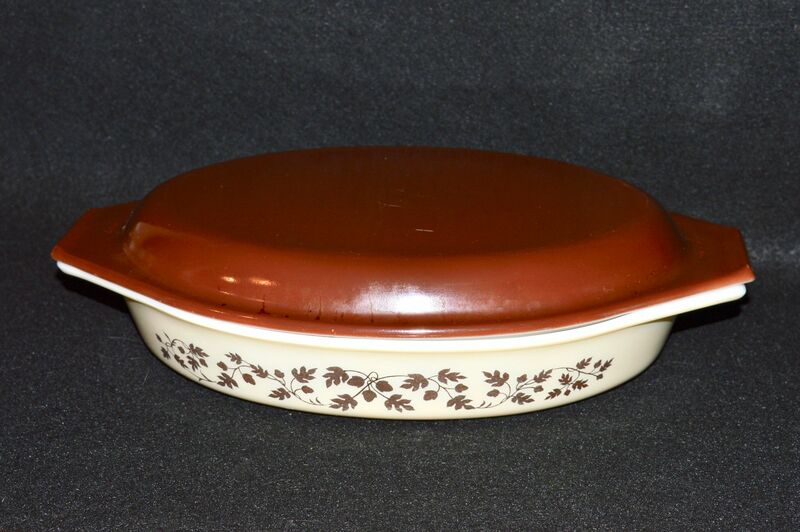 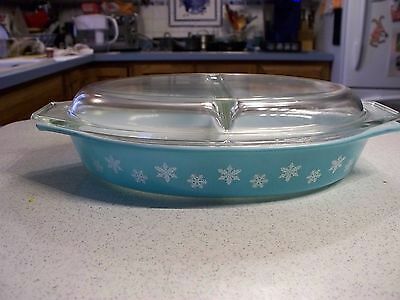 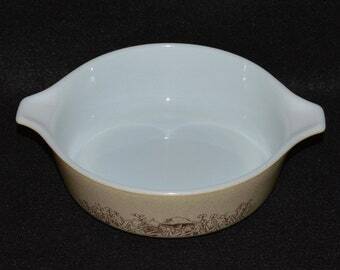 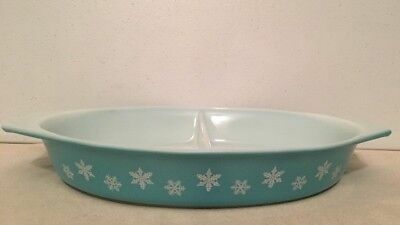 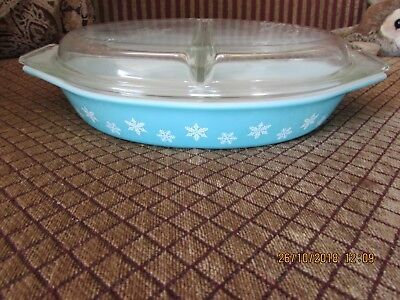 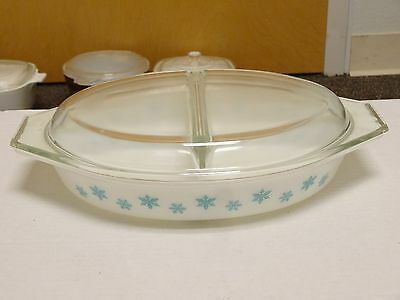 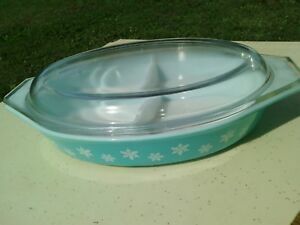 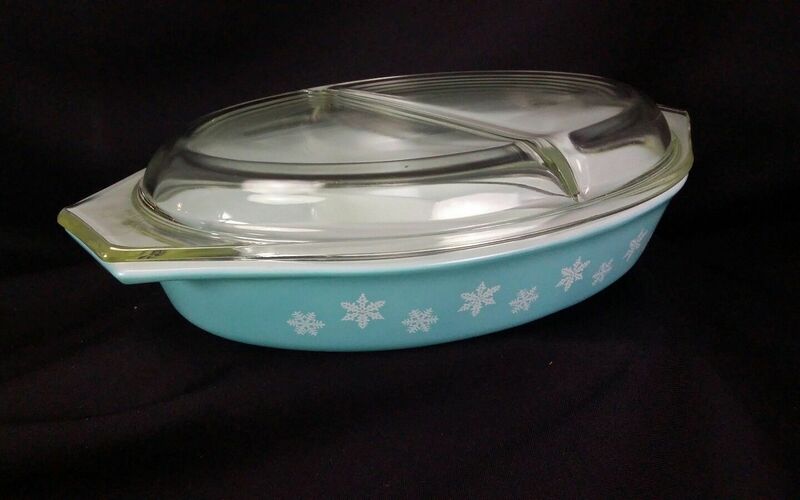 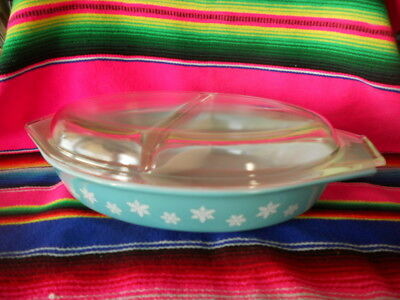 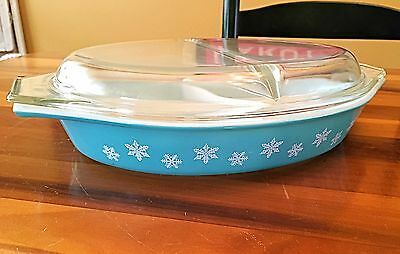 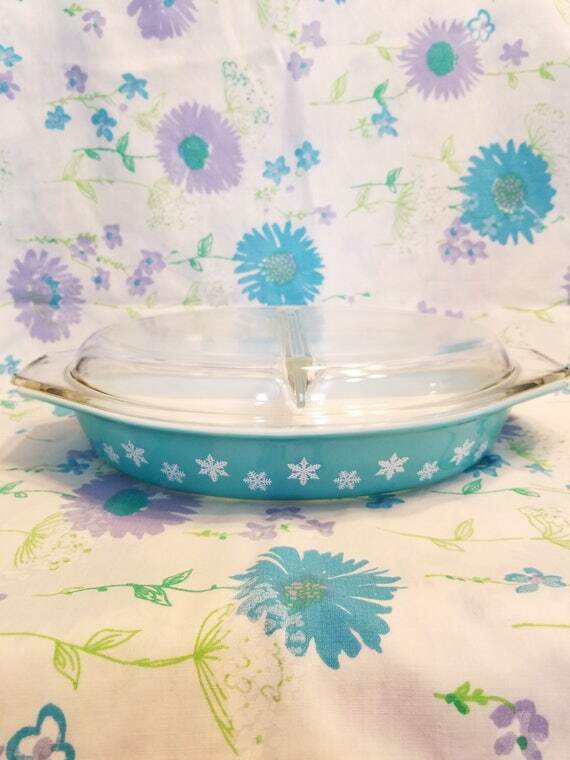 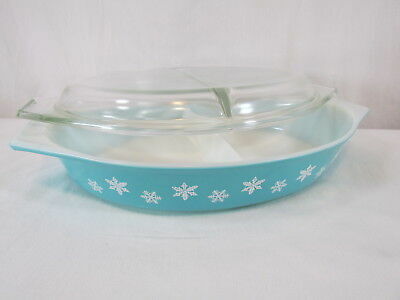 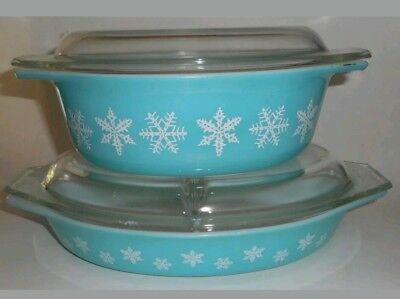 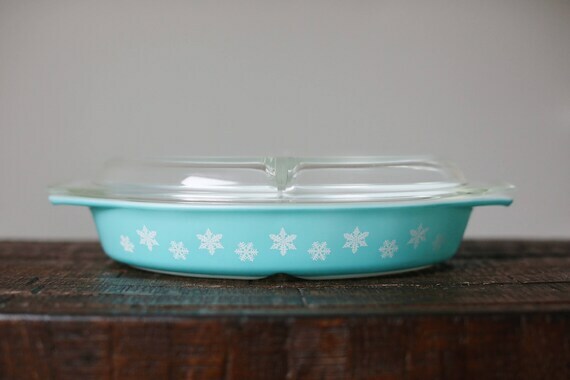 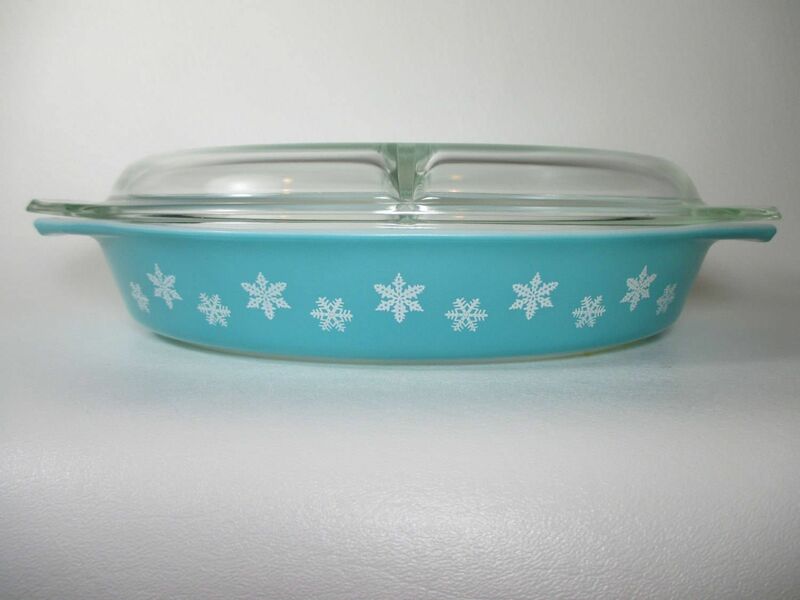 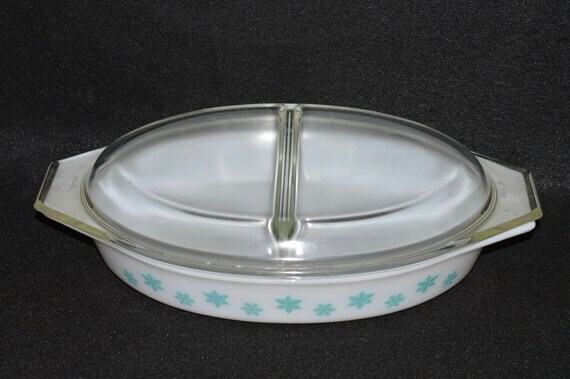 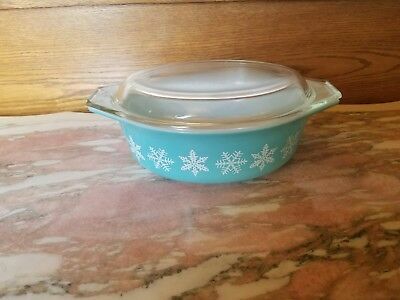 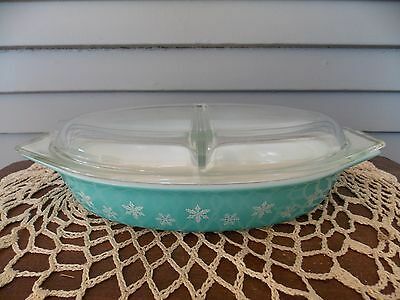 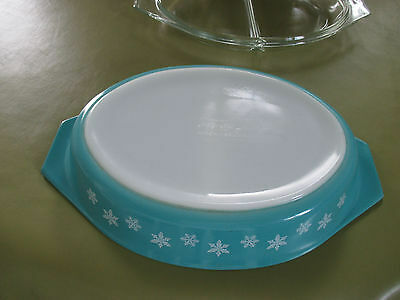 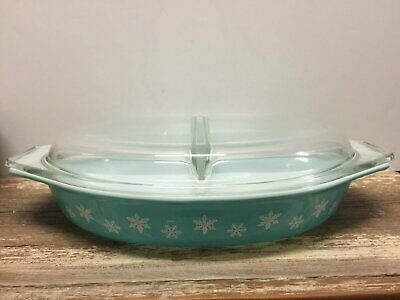 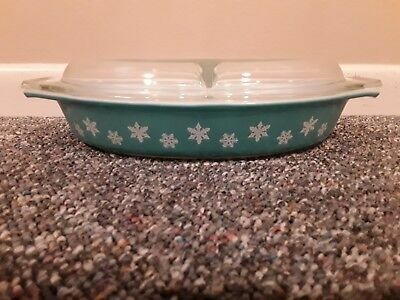 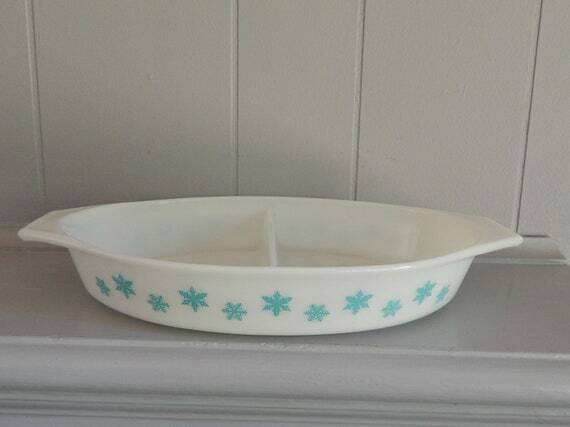 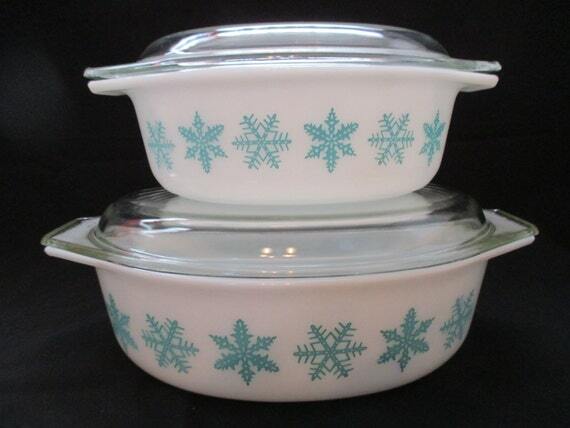 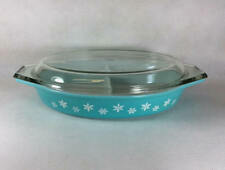 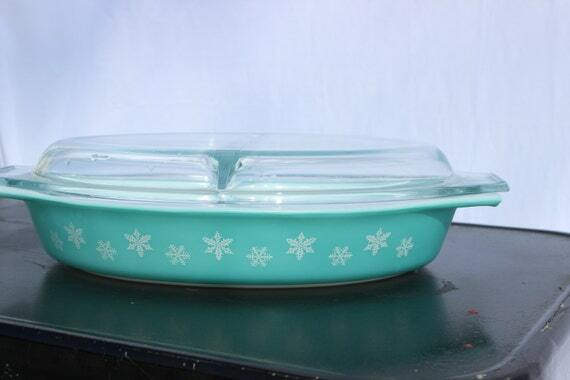 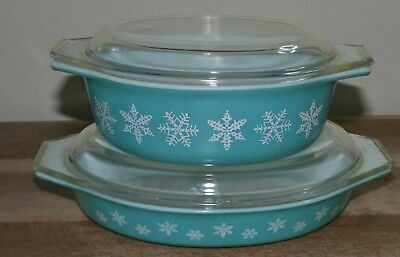 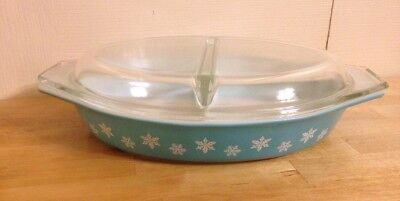 Vintage Pyrex 1 ½ QT Divided Turquoise Blue Snowflake Casserole with Glass Lid! 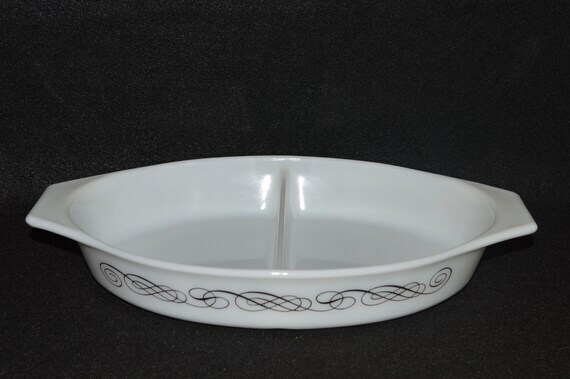 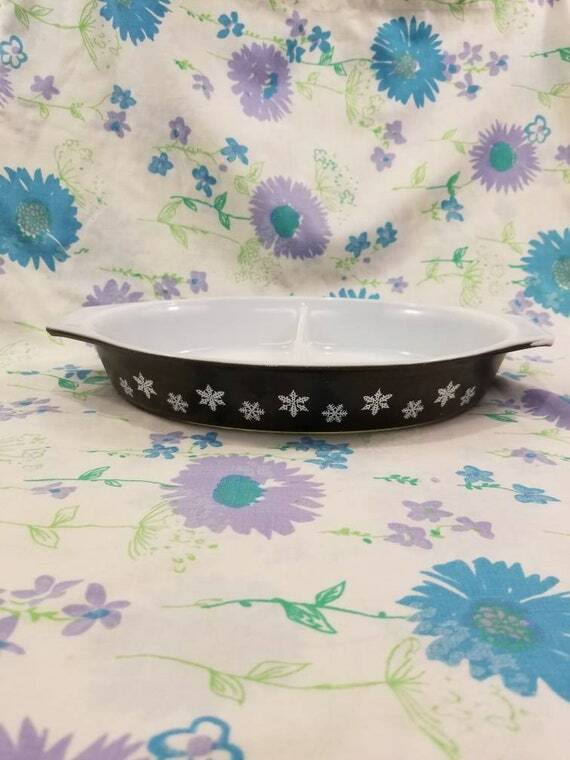 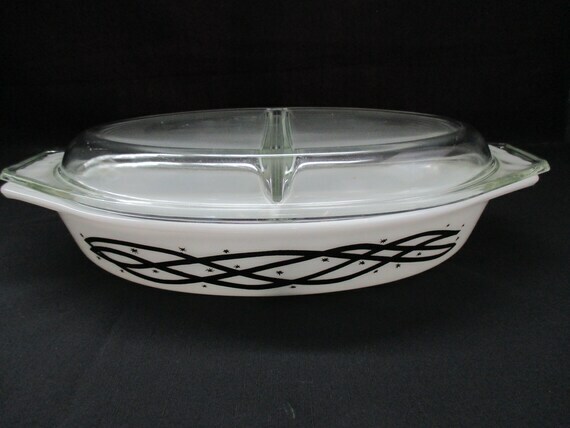 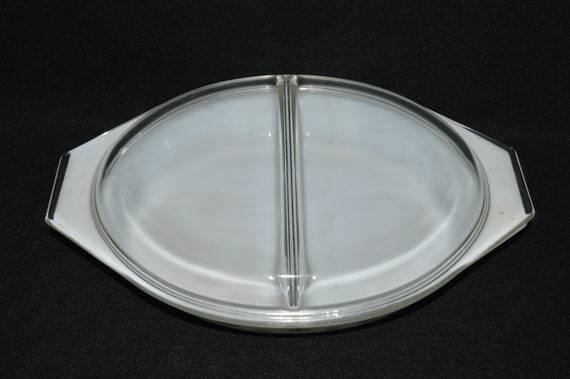 Vintage Pyrex Glass Black On White Snowflake Divided Casserole Dish 1 1/2 Qt.